Founded in 2012, MyBloggerLab is an online Blogger resource website focused on providing quality based tips, tricks, tutorials, widgets and other worthy goods to blogger community. The main motive of this site is to help and groom young bloggers by giving them comprehensive information so that they can make use of their potentials. The articles published at MyBloggerLab are of beginner level, so users of all ranks can make most of this online resource site. Out of all blues we choose Blogger Platform because of its robust and flexible behavior. On the other hand, people always degrade this platform because of its limitations and rusty appearance. Therefore, our main intent is to let the whole world know that this platform is perhaps the greatest one. People always think that Blogger is just another blogging platform, but if a person knows its dynamics then, it can be converted into a robust content management system (CMS). 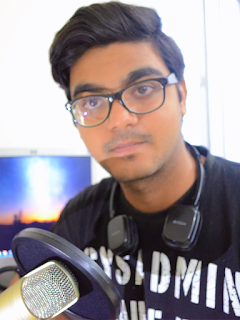 Syed Faizan Ali is the founder of MyBloggerLab. He started this site when he was just 16 years old. He has developed dexterous skills the reason why he is usually known as the "Geeks of all the developers". He has been in this field for around five years now and still calls himself as a beginner. His skills are not only limited to blogging as he loves to play with graphics, he is the senior web designer and developer of our sister site Templateism. Apart from the internet, he adores gaming and sporting. 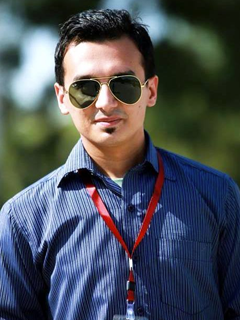 Aamir Khan Afridi is editor-in-chief of MBL and works actively on all the sites under our network. He is known for his creativity. Whenever, we ask for a quick campaign, he is always there with the most prominent methodological ideas. This is the reason, why he is known as the “Little boy genius”. Apart from his internet life, he is a high school student. He also loves to play cricket, football and tennis. To sum-up, he is a complete technical athlete.